CroosUI RAD Tools enables developers to rapidly develop and package the exactly same code and UI into Web Apps, Native Desktop Apps for Windows, OS X, Linux and UNIX on 32-bit and 64-bit architectures as well as Mobile Apps for iPhone, iPad, Windows Phone, webOS, BlackBerry, and Android devices. 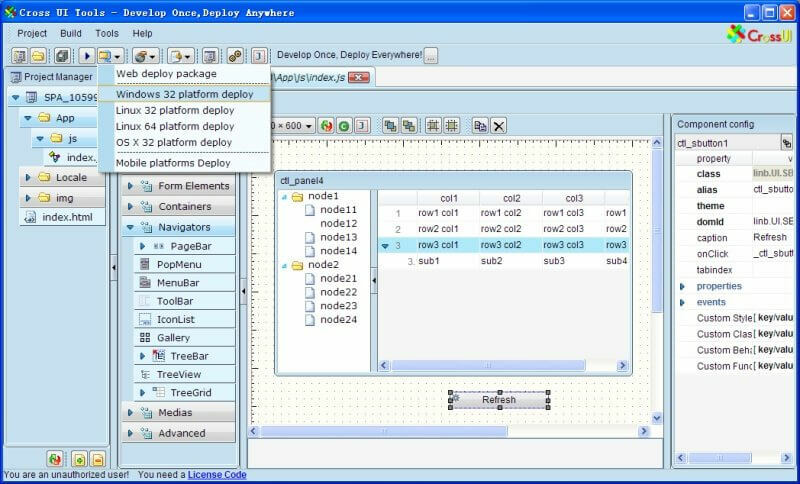 Developers can create Cross-platform Apps just like in VB, Delphi or Eclipse, and deploy it to anywhere with the exactly same User Interface. Just download the fully functional Trial Version from CrossUI.com, extract it to any directory on your local disk, no-install needed.